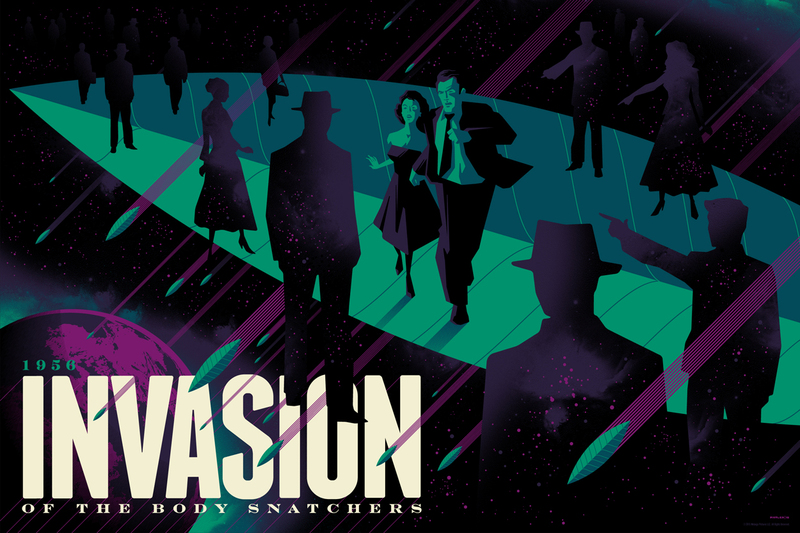 Dark Hall Mansion will release this new poster for Invasion of the Body Snatchers by Tom Whalen later this week. 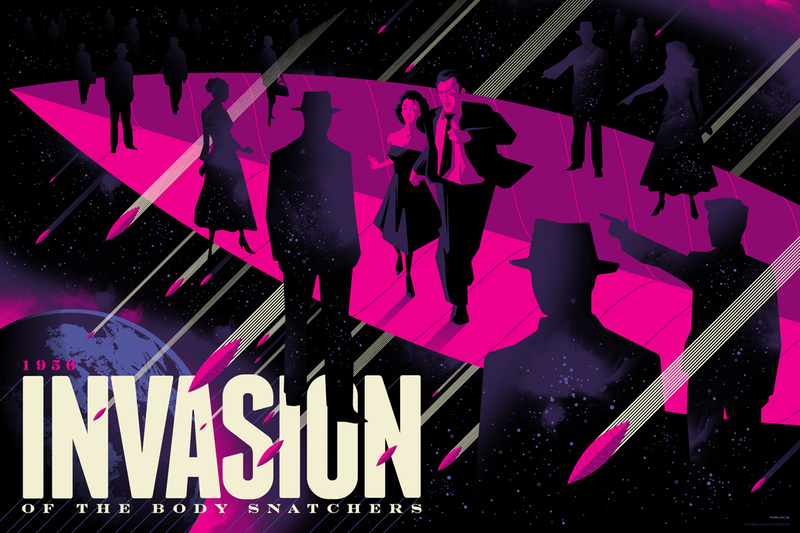 It’s a 24″ x 36″ screenprint, has an edition of 280, and will cost $65. The variant has an edition of 50 and will cost $100. There will also be foil versions of both colorways with editions of 10 for $150 each. These all go up Wednesday, July 22nd at 9:30am Pacific Time. Visit DarkHallMansionStore.com. The green colorway is beautiful. The pink should definitely be the variant. I see they put the year on it, which makes me wonder if they are making a 1978 version as well?